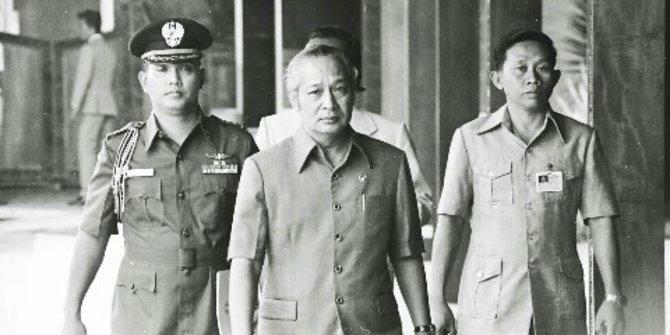 From that moment on, holding full control of governance, Suharto focused on the nation’s development. He allied with the United States and international organizations like the UN and IMF. At the same time, he broke off diplomatic relations with the soviet block and China. During his rule, the New Order, he brought stability, economic development and family planning at the cost of individual freedom and democracy. A sham election from which he inevitably came out as the winner, was held every five years. With this strategy, he ruled Indonesia for thirty-two years. Under his presidency, foreign investment started to flow and the country experienced rapid economic growth. Suharto accommodated international mining and oil companies that wanted to settle in Indonesia. Part of the income generated went to built administration, education and health infrastructures. In the mid 1980’s Indonesia yielding to pressures to liberalise the economy, privatized hundreds of state enterprises. Suharto entrusted them to relatives or near relations whom became extremely wealthy from that deal. Political unrest periodically arose in different parts of the archipelago but any opposition to the New Order was promptly suppressed. 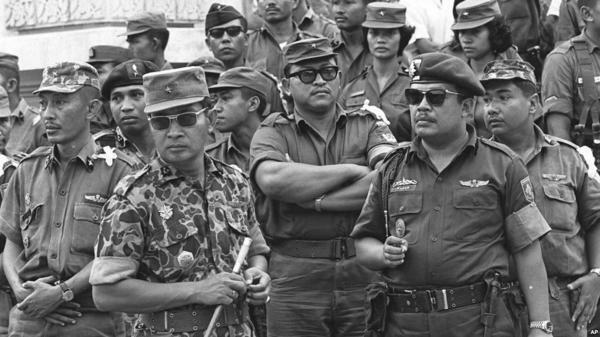 The invasion of East Timor by Indonesian forces in 1975 marked another dark page of history with massive killing of civilians followed by decades of occupation. As decades went by, collusion, corruption and capital embezzlement infiltrated every levels of the government while social disparities deepened and general discontentment increased. Suharto’s grip on power was unshaken until the Asian Financial crisis of 1997 when fueled by the rupiah’s fall and severe price hikes, student demonstrations intensified and riots broke out in several cities especially in the capital. The Indonesian masses supported by many leading figures called on Suharto to step down. He finally announced his resignation in May 1998, leaving the presidency to his vice-president and protégé B.J. Habibie. The fall of the dictator was followed by the reformasi era with long awaited measures to restore democratic values.